The FlexView welding helmet lets you to grind with a clear view. 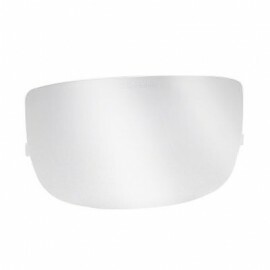 The FlexView helmet allows the user to slide the auto-darkening filter (ADF) quickly on top of the helmet, providing a large, clear view through the safety faceshield. ADF has two selectable dark shades (10 and 11) and sensitivity levels. The helmet 9000 has four aerodynamically-designed exhaust vents to help reduce stuffiness. The FlexView system's clear faceshield allows for precision grinding and cleaning and the inspection of newly-completed welds-all with eye and face protection. 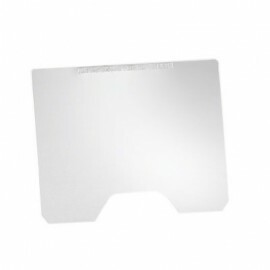 3M Speedglas 9002D Auto-darkening filter for stick, MIG and TIG welding processes above 20 amps. Shade 3 light state, with an off state of shade 5 which can be used for gas/torch work. 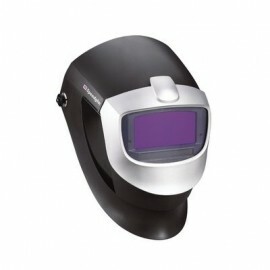 It has two sensitivity levels and is easy to adjust to the welder's preference. Eye-level sensors are difficult to block. Estimated battery life is 2000 hours. Auto-off turns off filter 60 minutes after last arc. Viewing area is 3.57 in x 1.68 in. Operating temperature 23 degrees F to 131 degrees F.